The University of Liverpool’s Institute of Infection and Global Health is among the 25 leading research and public health organisations gathered in Recife, Brazil for the launch of ZikaPLAN (Zika Preparedness Latin American Network). 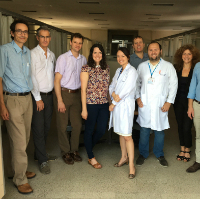 This global initiative, created in response to a Horizon 2020 funding call by the European Commission’s Directorate-General Research and Innovation, has been formed to address the Zika virus outbreak and the many research and public health challenges it poses. 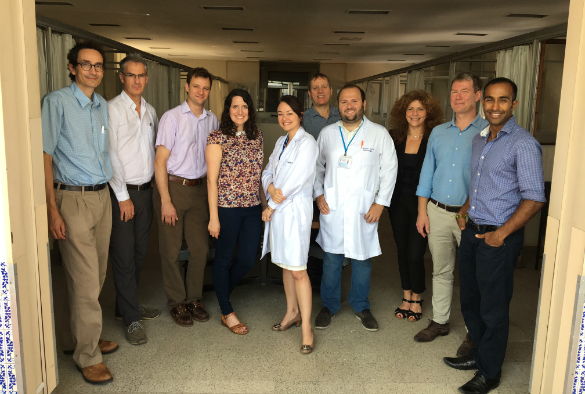 building a sustainable response capacity in Latin America for Zika and other emerging infectious diseases (EID). As part of the ZikaPLAN consortium, the University will work on improving the diagnosis of Zika, better understanding the neurological complications, and working towards vaccines and treatments. ZikaPLAN is receiving a €11.5 million grant from the European Union’s Horizon 2020 research and innovation program, under grant agreement number 734584. €1.5 million of this is awarded to the University of Liverpool to support the work done through Liverpool. Other research organizations in the ZikaPLAN consortium will explore non-vector and vector transmission and risk factors for geographic spread, measure the burden of disease and investigate how the virus has evolved, comparing current and historic strains. ZikaPLAN will look at novel personal preventive measures, innovation in diagnostics and modelling on vector control and vaccine strategies to inform policy decisions. The social sciences will also play a role in ZikaPLAN, which aims to determine the best communication strategies to keep the affected communities informed. ZikaPLAN will work closely with two other European Union-funded consortia, ZIKAction and ZikAlliance, to establish a Latin American and Caribbean network. This network will address the broader issue of building local capacity in Latin America to prepare for and rapidly launch a large-scale research response to emerging infectious disease threats. A ZikaPLAN website will soon be available on The Global Health Network web portal.